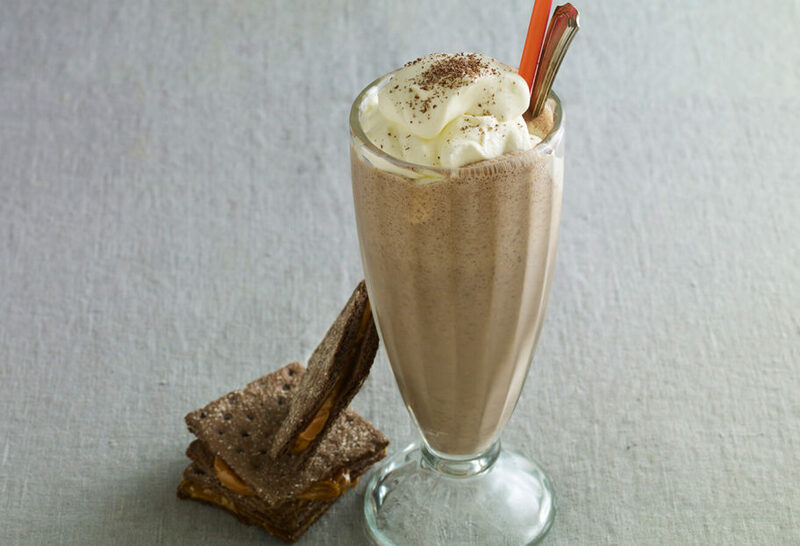 To the jar of a blender, add the milk, ice cream, Mexican chocolate, 1 tablespoon of the cajeta or dulce de leche. Blend until smooth. Crumble two graham crackers into the jar and pulse a few times to combine. Spread the remaining cajeta or dulce de leche on the remaining graham crackers and sandwich together. Break up into pieces and use for a garnish. Split the milkshake between two glasses. Spoon a large dollop of whipped cream on top. Top with the graham cracker sandwich pieces and shave some Mexican chocolate on top. Dear Pati i live in Tijuana B.C. Mexico i want to say that i love your show, i love the food you make. You should visit B.C. the food is a mix of U.S. an Mexico and the sights are amazing . Thank you for tuning in Anya! I’m hoping to get to Baja California soon and showcase the food scene there.